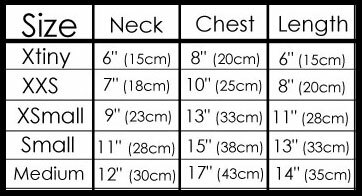 My designs are made only once they are ordered so it is always best to give me ACTUAL measurements in the notes section on the checkout page. My designs are not returnable or exchangeable because they are specifically made for your furbaby. So measurements are very important. 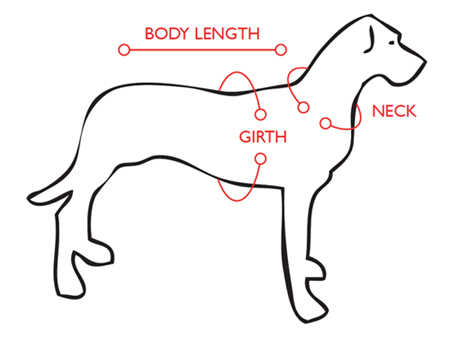 When measuring, keep the measuring tape a little loose for the neck and girth. A good rule of thumb is to be able to fit 2 fingers under the tape. For length be sure you DO NOT include the tail. The dresses should stop just before the tail. If you like them a little longer or shorter please be sure to let me know.